What is WAN Optimization and why Would I Want it? Providing connectivity from a company's headquarters to its remote locations is a pretty typical process. With WAN (wide-area network) capabilities, retail companies, financial institutions, healthcare organizations and manufacturers can stay connected. This is great, but with increased demand, nonstop use and the sheer volume of users depending on WAN, it's important to ensure your organization's current connection can handle your organization's needs. A surprising number of today's businesses and organizations run on a connectivity equivalent of dial-up. Remember dial-up? It was slow and unreliable. Waiting for images to load and files to download was standard practice, and if someone made a phone call, the connection could just drop. In its business equivalent, standard WAN can result in low speeds and poor customer service, creating a wait for data downloads and cause dropped calls. All in all, not good for business. In short, WAN optimization is a process of assessing your current connection, increasing its speed and increasing its reliability. The assessment involves taking stock of your current connection, including its capabilities and limitations. With an understanding of your organization's connectivity needs, our technology experts can recommend a more effective solution. How Do Businesses Benefit from WAN Optimization? 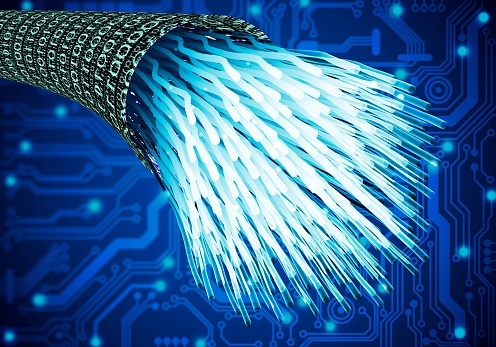 While the fine details depend upon your current connection and your needs, the typical optimizations include replacing a single, low-speed connection with two high-speed connections. This way, if one connection fails, there's a second one to take over. With dual connectivity, your end user won't even realize anything has occurred. And, they'll carry on seamlessly. WAN optimization keeps staff and end-users securely connected with data and communications. It brings intelligence and connectivity together. From its onset, WAN has been about enabling connectivity, and it's made it easy for users to get what they need from remote locations without needing to work directly with headquarters. In short, WAN optimization is a pathway toward saving money, increasing the end user's experience and allowing your business or organization to focus on your work instead of focusing on technological hurdles. Perhaps the most difficult idea to get across about WAN optimization is that it's easy. If you're already a Marco customer, it's likely you already have the hardware. We have the capabilities to handle the entire WAN optimization process, from initial assessments and outfitting to install and carrier service. You can work with a single source for full deployment and reap the benefits of WAN optimization faster than you think.